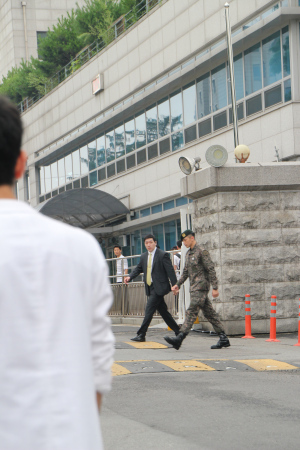 Seven months and eleven days ago, I met Marisol Varela outside of the West Gate of the Defense Media Agency in Seoul, South Korea. And although she was from Spain (by way of Uruguay) and I from the US, we shared a very important mission that day, welcoming Rain back to civilian life after his military service in the ROK Army. 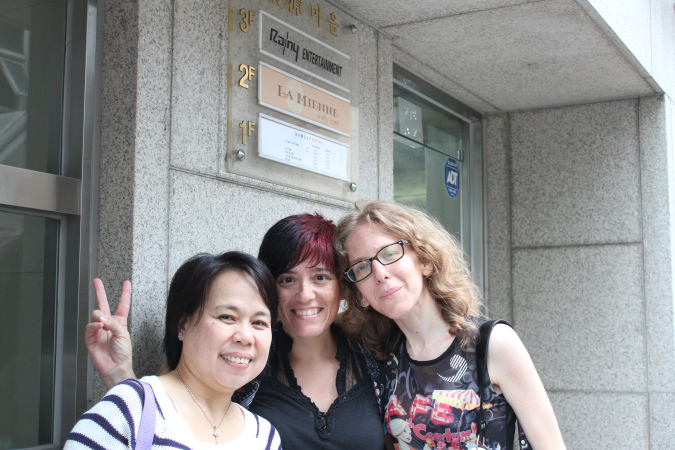 I later spent some time with Marisol and fellow Spanish Cloud, Myriam (both seen in the picture above along with sister Cloud Odette Santos from the Philippines) enjoying the sights and sounds of Seoul and also recouping from the events of that trying day (July 10, 2013) when we saw Ji Hoon emerge from that gate. ~ by Michele on February 21, 2014.